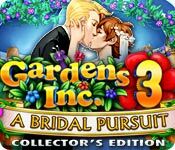 Gardens Inc. 3: A Bridal Pursuit Collector's Edition is rated 4.4 out of 5 by 39. Rated 5 out of 5 by bchoy1970 from I want MORE games like this! A fun mixture of time management and organizational puzzles. Story line was lovely and for ONCE there was nothing with ghosts, magic, or horror in it. The graphics are beautiful and it starts at an easy pace and works you harder as it goes. I would seriously like more games like this and will be on the look out. Rated 5 out of 5 by moonflower54 from A Bridal Pursuit CE (Great Game Purchase) Completely Awesome! 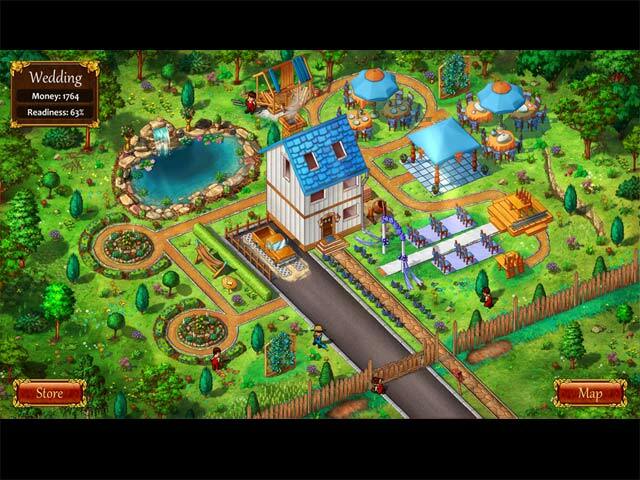 Unlike others, I began playing Gardens, Inc. 3 before playing 1 and 2 in the Series. It did not spoil anything for me starting that way, but the developers have made various improvements still maintaining some extreme challenges, which I love! I had to play several levels over and over to achieve Gold. Making good use of Power Ups on some levels is essential. You really have to use them wisely. Awesome clean and colorful graphics, great TM challenge and an actual storyline. 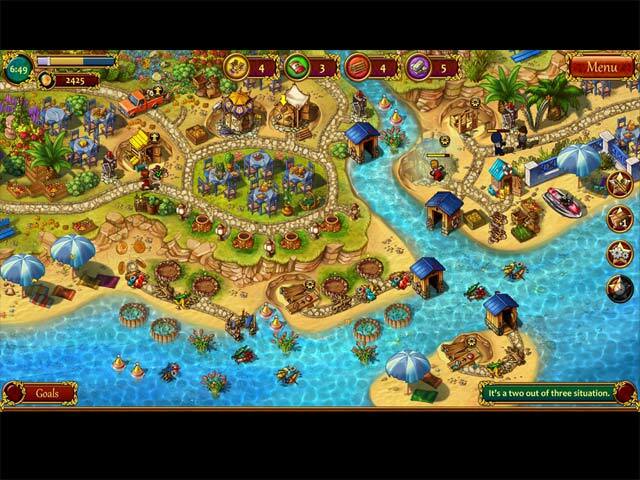 Very similar and close game quality to Royal Envoy only with more challenge. Rated 5 out of 5 by AverageSizeFish from Super fun I received an invitation to try this game as a survey and loved it so much that when it came out I immediately bought it. It's the first time management game I ever played and, although I've since played many others, it stands well ahead of almost all others in this genre. I like that you don't have to click, click, click to get things done, you have to think about how to get tasks completed but everything is do-able, and the power ups vary from level to level. The developer clearly put a lot of time into creating challenging levels that allow you to plan your strategy without needing to perform tasks one certain way in order to get three stars. The story line is a little silly but when a game is this good who needs Shakespeare? With the exception of Northern Tales 4 I have yet to find a TM game that's as good as this one and the others in the Gardens series. I really hope the wedding isn't going to be the end of the story because I would love another TM game of this high quality. Rated 5 out of 5 by missann68 from Another great one in the Gardens, Inc. series! Gardens Inc. 3 is even more challenging than the first two! Very well done. Since I had to go outside BFG to get Gardens Inc. 2 in the Platinum Edition and pay an outrageous price, I was pleased to be able to get the Collector's Edition of Number 3 from BigFishGames! Thanks to the writers and producers for this intriguing game. Rated 5 out of 5 by beltie from Fun!!! Nice graphics, as with all the series Challenging levels. Excellent replay. One of the things I like about the series is that you really have to plan out your moves and resources. "Click Ahead" is available btw. I had to replay approx 33% of the levels because one needs to figure out what materials need to take priority. With that said, it's not like a game I recently played (won't mention the name) where there was only one solution to beat the level and it was frustrating rather than challenging. This is enjoyable, very satisfying when 3 stars are achieved, and adds to the playing experience IMHO. Only thing I would improve is the new changeable shacks for personnel. Like it because it gave you more people for specific jobs like watering. Downside for me was two of the icons really didn't clearly depict the profession of the Miner and the Hunter as well as they could have. That made it a bit rough. The Farmer icon was very clear. Still, really enjoyed the game, would recommend it, and will look forward to the next one. 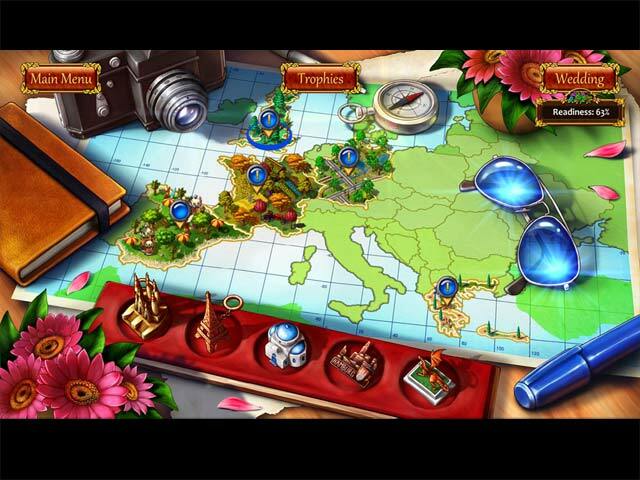 Rated 5 out of 5 by JennyerSuper from Great new TM game in the Gardens Inc. franchise! I can't praise this game enough, I have loved all the Gardens Inc games that have come out and this is no exception. I like the flow of the game play and the challenge in figuring out how to best beat each level. After getting gold time in all the levels, I had hours and hours more fun going back through the game and trying to beat the developer records. I highly recommend any game that displays the developer records in addition to the gold or three star goal because it adds a whole other layer of challenge and you get more use out of the game itself. I highly recommend this time management game!